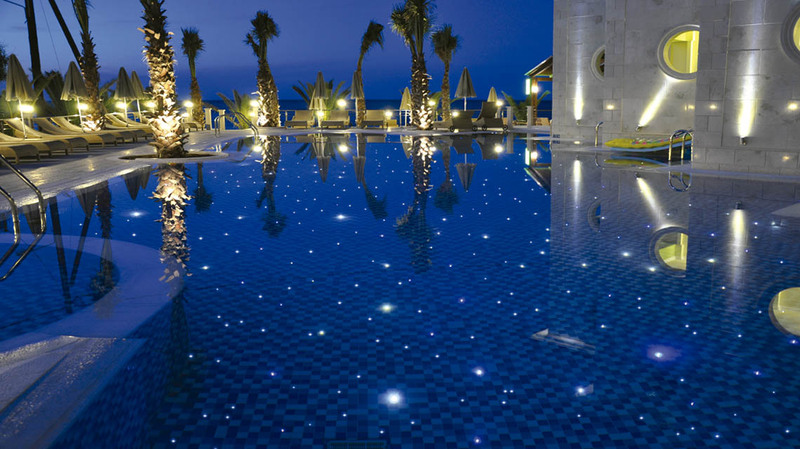 The latest and most exclusive decorative lighting system for high-end pool installation consists on the distribution of fiber optics light points on the pool floor and, at times, on floor and walls. The installation is straightforward with specially clad fibers and stainless steel accessories. In this week’s project, the designer made full use of the exciting possibilities of this technology.